wo years ago at EGX I stumbled across a gorgeous and beguiling artistic piece by two young designers – Eliott Johnson and Matthew Warshaw. A Light In Chorus had very little structure and was mostly a wash of masterfully manipulated particles creating an engrossingly organic world to explore. Each cluster helping to form a real world environment. There wasn’t much actual “game” but the whole time I spent with this early build was entrancing. Two years on and I was incredibly excited to see them return (now as Broken Fence Games) to show the progress they’ve made. With a newly acquired UK Games Fund grant it seems the guys have been pouring a lot of time and energy into evolving the gorgeous initial concept. Of all the Leftfield titles on display at EGX London this year A Light In Chorus is the one I want to see more of, to watch it grow, gain some narrative and some social conscience and maybe take us on a journey through a beautiful world whilst enthusing us to do a little more about our own. 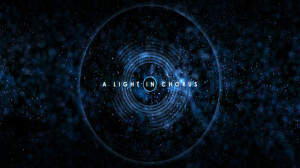 No release dates but I heartily suggest you take a look at www.lightchorus.com and follow the project on @ALIGHTINCHORUS on Twitter. This really does personify the phrase “one to watch”! Now, two years on, I get to see how they’ve reshaped their concept into a viable game for the PC. Initial impressions are strong. The game presents itself well. 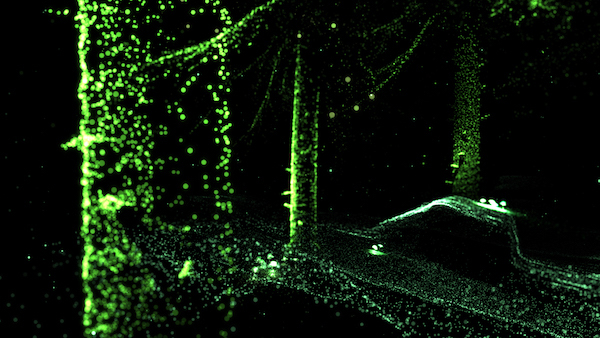 Just spending a short amount of time watching these mesmerising dots of light would convince you that this hypnotic world was worth exploring. 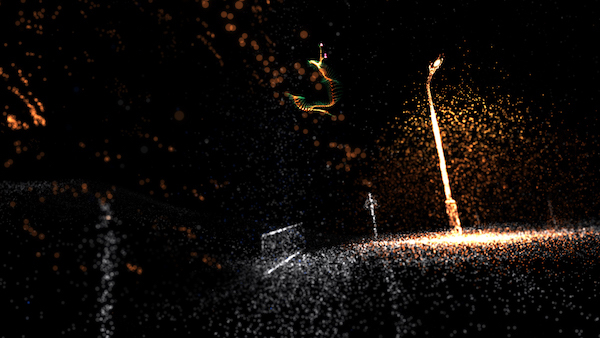 A Light In Chorus is now defined as a first person adventure game. Before you groan and utter the words “a walking simulator” hear me out. This is about experiencing the world through new eyes. Here, you explore an apparently submerged future Earth via the contents of a crash-landed time capsule. The team have taken some loose inspiration from the Voyager Golden Records. This golden vinyl disc was attached to the Voyager spacecraft back in 1977. It contained carefully catalogued and selected items (images, music , art etc) to present to any alien species that might happen upon NASA’s Voyager craft. So how does this actually break down in the game though? Well it’s still a little hard to explain but you basically traverse this brightly crafted world (via the keyboard and mouse) exploring the wonders around you. Control is simple (WASD/Mouse) and pressing Shift causes the world to morph and change around you. Taking the ghostly dotted apparitions and shifting them to new places, colours or objects. This sometimes highlights certain triggers that you can use to progress to the next area or reveals an object to help trigger an event. 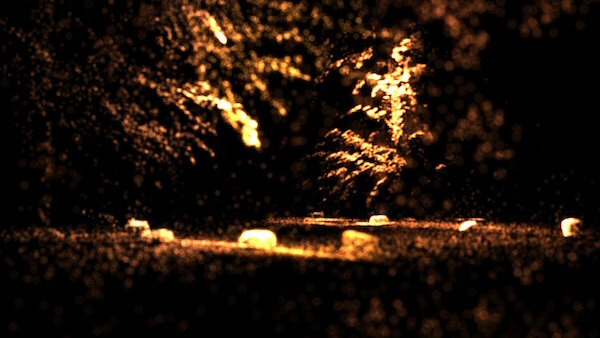 As the game starts off you’re presented with streams of yellow particles tearing across the screen. It feels and looks like you’re in the midst of a furious sand storm. Particles fly, twisting and morphing, revealing outlines of familiar objects. Imagine an entire world made from swirling multi-coloured fireflies or embers from a dying fire. As you wander the area, looking for how you might progress to the next, you can’t help but feel a little lost. I believe that you’re supposed to experience this feeling by design but often I’d have no clue where to go or how to achieve my goal. This made exploration a little frustrating at times, but this is obviously still a game very much in development. I watched several others experiencing the same feelings throughout the time I was watching and playing the game. There’s a tricky line between self discovery and feeling misguided but I have high hopes the developers will tweak this as time goes on. Obviously I still think A Light In Chorus has huge potential. Even with the slight frustration of not knowing how to progress to the next area I still spent an age just exploring the outlines in the world. Every moment in the game just looks stunningly original and begs for exploration. The layering of some sort of narrative would only help to improve the world but a delicate touch is needed here – it is still all about you experiencing this new world. 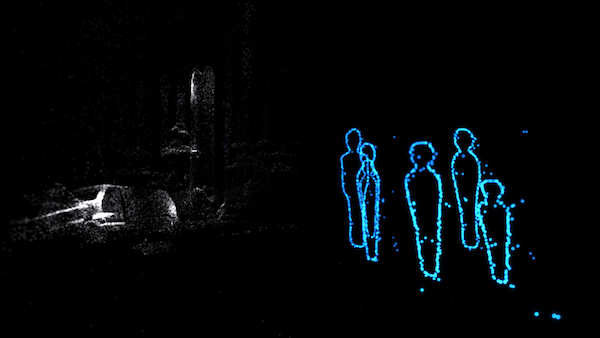 I do worry though that A Light In Chorus could have its thunder stolen by the new prototype from Introversion Games called Scanner Sombre (AKA Cave Game). Admittedly they’re coming at things from a different angle but the “WOW-Factor” associated with A Light In Chorus could be diminished which would be a tragic disservice. As I said last time I really am excited to see where the team at Broken Fence Games can take this concept. They certainly seem to be moving along the right track with this new preview build. What Broken Fence Games are creating has a certain “soul” to it that can’t easily be captured in words or pictures. The beauty of the world, captured in simple dots, will hopefully speak to many more, as it has to me. Developers spend years trying to imbue their game worlds with the sense of wonder and soul that A Light in Chorus managed straight out of the gate. No firm release dates. No wild promises. They said “Maybe 2016” back 2014 but I’d imagine they’ve got a fair way to go still. Still an absolute must to keep an eye on and look for it on Steam when the team are done.